Pavan 501/IS Stainless Steel Filling Spatula/Knife. Rounded angles, milled blade edge and mirror polished blade. Flexibility and toughness are guaranteed by Pavan under all working condition. 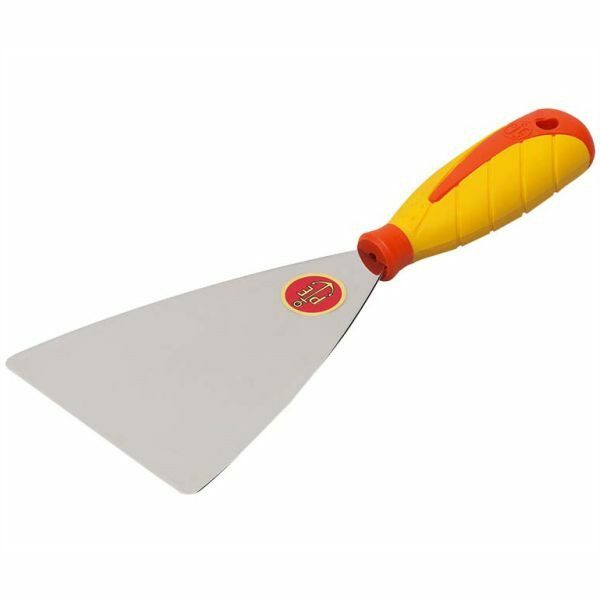 The Pavan 501/IS Stainless Steel Filling Spatula is assembled by welding. This is followed by rigorous testing for load bearing and x-rayed to check correct joining. The only Italian manufacturer which designs and produces all the components of a wide range of building tools, including trowels, scrapers, brushes, knives, finishing trowels and fine arts tools.